Still laughing as I am typing this blog. Remembered a video several years back of birds landing on ice. I found it and two more. Trust you enjoy them and get a good chuckle for the day. On a more serious note, I found this article about how birds can die from the ice. It can trap them or cause them to not be able to take off. 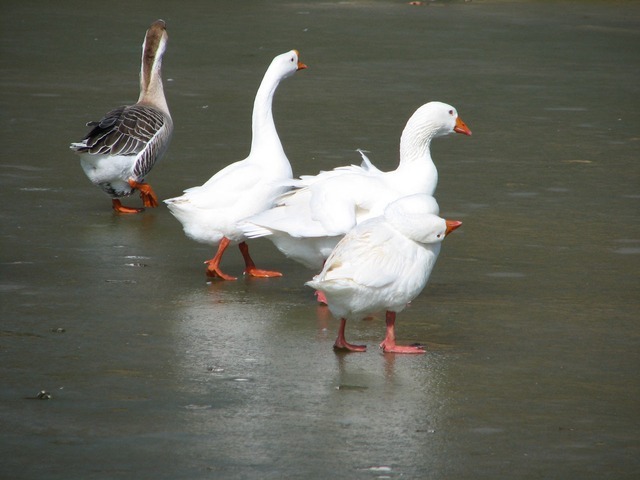 Not Spring-like Yet – Ducks and the Ice, Oh My! This entry was posted in Birds, Birdwatching and tagged Christian, Creation, Ducks, Home School, Landing on Ice, Nature, Penguin, Tickle Me Tuesday, Videos, YouTube. Bookmark the permalink. A joyful heart doeth good like a medicine. Ha Ha that’s so cool!